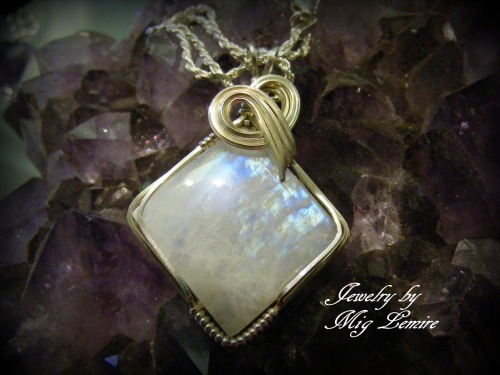 This gorgeous and showy Rainbow Moonstone Gemstone is so flashy. One of the prettiest pieces ive seen. Sculpted with sterling silver. This piece measures 1" square. Comes with a sterling silver chain.